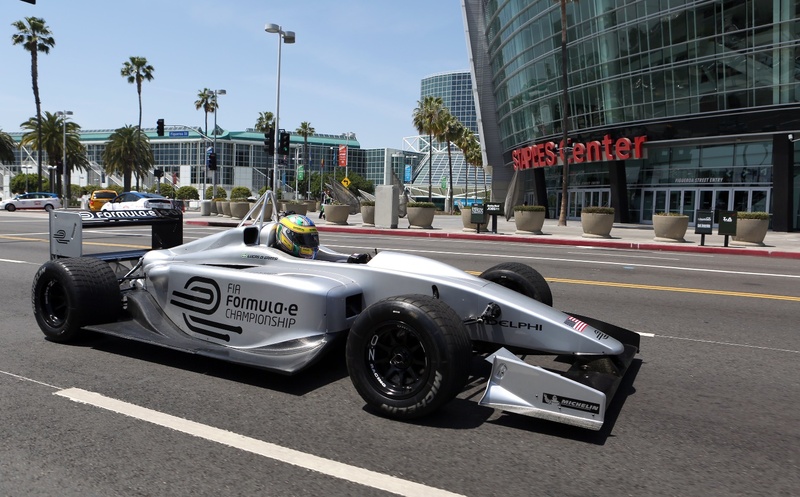 world's first fully - electric Formula E race, commencing in 2014.
and investment in electric vehicles and sustainable motoring. and, Buenos Aires and Rio de Janiero in South America, with two locations to be announced. than 140mph (220kph) with zero emissions.